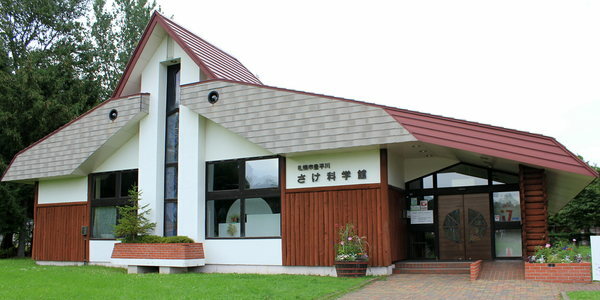 Main building has been closed temporarily due to the earthquake of Sep 6. We’ll let you know on this web sight when we see the light at the reopen of Main building. By public transport : a four-minute walk from the Makomanai Kyogijo-mae bus stop the Jotetsu Bus Minami 90, Minami 95-98 or Kan 96, which can be taken from Makomanai Station on the Nanboku Subway Line. 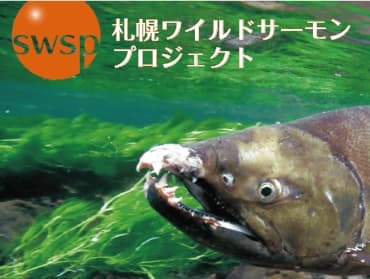 Visitors can learn all about salmon through dioramas of spawning salmon, videos, books and other exhibitions at Exhibition Hall. In Autumn, visitors can observe artificial fertilization process at Spawning and Hatching Room. 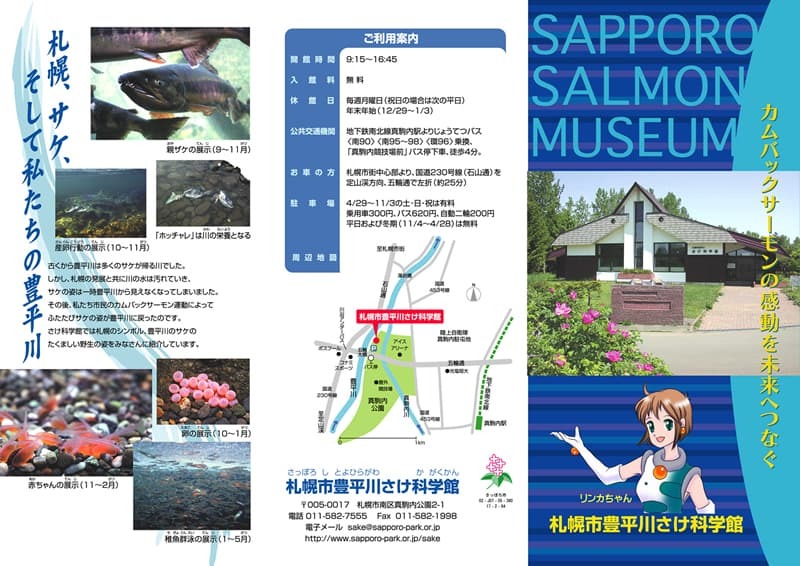 From fry to adult, many kinds of salmonid fish are displayed at Education Display Room and Underground Observation Room. In the season of hatching, visitors can see salmon eggs with eyes. 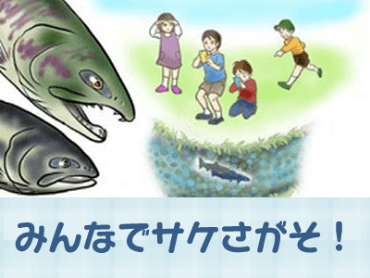 Visitors can experience feeding salmonid fish. Especially, the bite of Sakhalin taimen is very powerful and worth to watching. Visitors can see fish as gobies, sticklebacks, and others in the Toyohira River. Besides fish, there are amphibians and reptiles around Sapporo at Fish House. Copyright © 2018 公益財団法人札幌市公園緑化協会 All Rights Reserved.